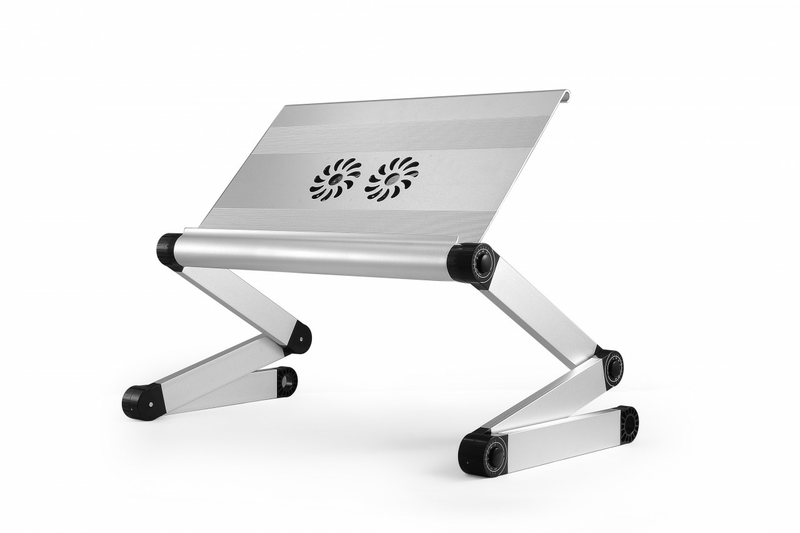 The WorkEZ Executive Ergonomic Laptop Stand - Silver is the widest, tallest, highest quality stand in the WorkEZ™ series. Use the Executive on the couch, desk,recliner, and in bed to save your back and prevent laptops from overheating. Finally, you can get comfortable with your laptop, tablet, or book ... anywhere! collapses to a thin, flat package for simple storage. Turn any desk or table into a simple Laptop Standing Desk. Executive extends to any height up to 24"
Burn calories & have more energy. 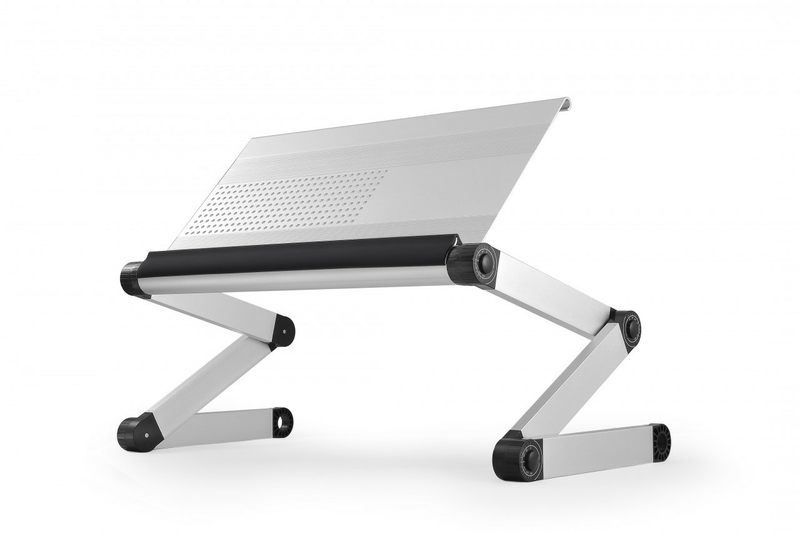 Not just for laptops ... Executive works perfectly with Monitors, Books & Tablets! Panel Size = 18" by 11"
Folded Size = 22" by 11" by 2"